Meniere’s disease affects approximately 0.2 percent of U.S. citizens. That’s roughly 615,000 individuals. Meniere’s may not be a very common disease, but its symptoms can seriously diminish a person’s quality of life. Many people may be suffering from Meniere’s disease and not even know it. They may experience hearing loss (a key symptom of Meniere’s) but assume that it’s just a natural part of the aging process. 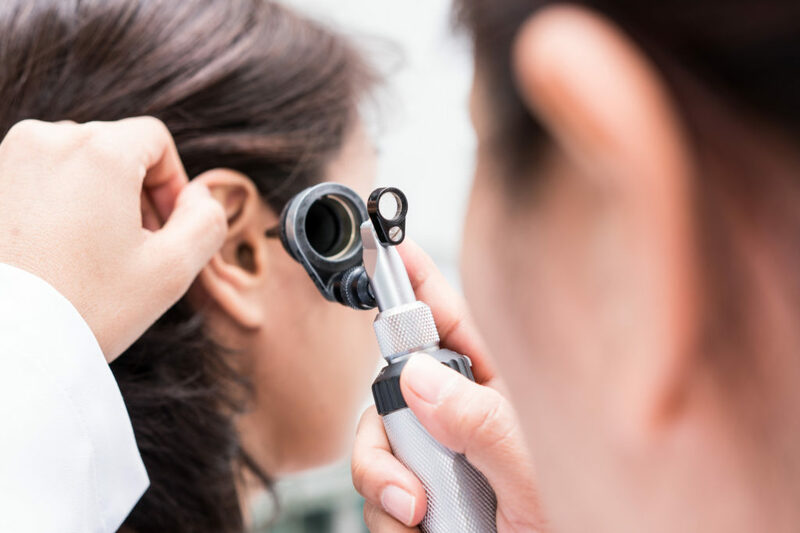 Read on to learn more about Meniere’s disease, how it affects your hearing, and how you can start treating it today. Meniere’s disease is one of the most common causes of hearing loss. It is an inner ear disorder that often affects just one of the ears. Anyone can develop Meniere’s disease. However, it’s most common among young and middle-aged adults. Meniere’s is considered to be a chronic health condition. It cannot be cured, but there are a number of treatments that can minimize the symptoms and allow someone who’s been diagnosed to continue enjoying a high quality of life. At this time, doctors aren’t 100 percent sure what causes Meniere’s disease. They know that the disease occurs as the result of abnormal fluid levels in the inner ear. They don’t know what causes those abnormal fluid levels, though. Those who have a family history of Meniere’s disease are also more likely to develop it themselves. It’s common for people suffering from Meniere’s disease to experience episodes of vertigo. Vertigo is a spinning sensation that stops and starts suddenly. Episodes of vertigo come on without warning and can last anywhere from 20 minutes to several hours. As a result of the vertigo it causes, people with Meniere’s disease may also suffer from frequent bouts of nausea and vomiting. They get so dizzy that they begin to experience motion sickness. Sometimes, when vertigo hits, people with Meniere’s suffer from diarrhea. Diarrhea can also occur after the episode of vertigo or tinnitus has passed. Meniere’s flare-ups may also trigger cold sweats. Cold sweats often accompany other common Meniere’s symptoms like nausea, vomiting, and diarrhea. Ringing in the ear, also known as tinnitus, is common, too. People who experience tinnitus may hear a ringing sound or buzzing, hissing, roaring, or whistling sounds. People with Meniere’s may feel pressure or fullness in one ear, too. They may feel as though there’s something stuck in their ear or as though it’s full of water. Nystagmus is a term that refers to unintentional eye movements. Someone with Meniere’s may find that their eyes are moving without them controlling the movement. Nystagmus often occurs alongside vertigo as the eyes try to find the cause of the movement the individual is sensing. Migraines are common among folks suffering from Meniere’s. Some researchers think that there is a connection between Meniere’s disease, migraines, and alignment issues that affect the upper portion of the cervical spine. People suffering from Meniere’s disease may be prone to bouts of irritability and anxiety. These mood swings may stem from the fact that Meniere’s patients often cannot predict when nausea or tinnitus is going to strike them. It’s normal for those suffering from Meniere’s to experience excessive fatigue. Dealing with hearing loss, migraines, vertigo, and tinnitus can be very taxing on the mind and body, and patients may find that they’re sleeping more than they used to as a result. You’ll also need to work with your doctor to exclude any other conditions that could cause these same symptoms. Doctors will perform a hearing test to confirm that you are suffering from hearing loss. They may perform a balance test, too, to assess the function of your inner ear. To rule out other conditions, your doctor will likely perform a series of blood tests. They may perform scans like MRIs and X-rays, too, to rule out conditions that have similar symptoms like multiple sclerosis or a brain tumor. There are many treatment options available to minimize the symptoms of Meniere’s. Your doctor may recommend a hearing aid to make up for hearing deficits in the affected ear. They may also prescribe anti-nausea and motion sickness medications to control vertigo. Diuretics are often prescribed, too, to reduce fluid buildup in the affected ear. Doctors often recommend lifestyle modifications like avoiding alcohol and caffeine, which can make vertigo worse. In some cases, when other conservative treatments do not work, your doctor may recommend surgery to help combat vertigo. These surgeries will not restore hearing, but they will minimize severe feelings of dizziness. Do you think you’re suffering from Meniere’s disease? Or, do you know someone else who might be? Meniere’s disease cannot be cured. But, your quality of life can improve greatly by wearing hearing aids. Not sure which hearing aids you ought to choose? Need help sorting through all your options? If you need guidance when it comes to selecting hearing aids, be sure to check out the Hearing Aids Help section of our website today. You’ll find lots of information here on the best hearing aids for your needs. You’ll learn how you can save money on hearing aids, too!